Many people are confused about what exactly these coverage limits mean, especially in cases where multiple people are injured. A few scenarios can help explain. 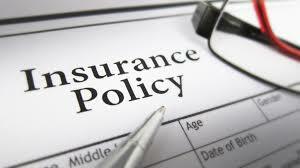 Assume for each scenario that the minimum $20,000.00 per person and $40,000.00 per accident coverage is in place. Supposed there is a two car accident in which one person is injured and has damages of $20,000.00. That person will be able to recover $20,000.00 under the insurance policy. Now suppose that the person’s damages are not $20,000.00 but are actually $25,000.00. She is still limited to the per person policy amount of $20,000.00. Now, assume that three people are injured in a crash. The total damages among the three people total $60,000.00 and each has $20,000.00 in damages. The same policy provides a $20,000.00 per person limit. However, each person will not recover $20,000.00 because of the total coverage limits of $40,000.00 per accident. The three injured victims must then share in a limited pool of money. The money can be distributed evenly or unevenly among the three, however, the total amount the insurance company will pay cannot exceed $40,000.00 in this scenario. Many people choose to carry insurance coverage beyond the minimum limits and so this example is not always true. However, it illustrates a very real problem in lack of insurance coverage that can be faced by injured victims. Can I Ever Ask For More Than the Policy Provides? You can sue the other driver personally for negligence and your recovery can exceed the limits of the insurance policy. However, it is important to remember that many people do not have any personal assets to make a lawsuit against them worthwhile. Before undertaking this process, it is always best to consult with an experienced injury attorney to decide whether it is a good idea to move forward. At the Law Offices of Jeffrey S. Glassman, our attorneys have a wealth of experience dealing with personal injury cases and Massachusetts insurance coverage issues. If you or a loved one have been injured in a crash and need help, call us today at 617-367-2900 for your free consultation.